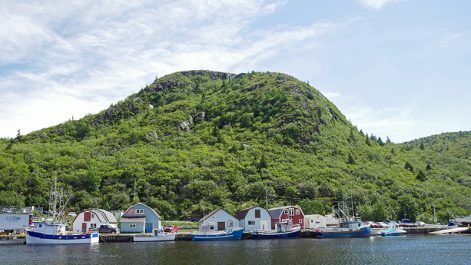 Colossal coastal cliffs, secluded bays and the sound of traditional fiddle flowing from colourful taverns – there is something very unique about Newfoundland. When you embark on your adventure on The Great Trail, you aren’t just exploring nature. You’re discovering a culture, history and way of life that continues to fascinate locals and visitors alike. Read on for the ultimate three-day hiking tour of Newfoundland, as suggested by Quench Travel Design. 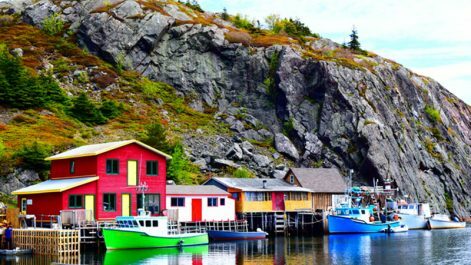 Start your adventure in Quidi Vidi, a St. John’s neighbourhood with a distinctly village-like atmosphere. A historic fishing area, Quidi Vidi is filled with spectacular scenery and many different species of plants and animals. 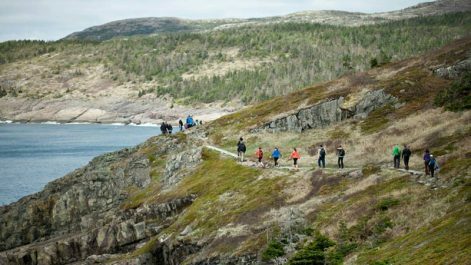 Find the East Coast Trail and walk in the direction of Signal Hill. On the way, you’ll pass the rough coastline and crashing waves that make Newfoundland and Labrador famous. Pause by Quidi Vidi Battery, Cuckhold’s Cove and North Head Trail Lookout for ideal photo opportunities. 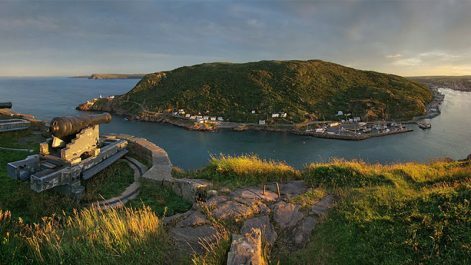 Leave the Trail briefly to visit Signal Hill National Historic Site. One of St. John’s most popular attractions, this area commemorates the town’s groundbreaking communications history. This site was where Guglielmo Marconi received the world’s first transatlantic wireless signal, and was crucial to the harbour defences of St. John’s from the 17th century right up until the Second World War. If you’re visiting in summer, stay for the Signal Hill Tattoo (no inking required! ), a popular and award-winning ceremony that celebrates Newfoundland’s historic music and pageantry that thrills audiences with a rousing band performance. Drumsticks whir as a series of drum calls—commands to men—are made. This is followed by a series of precise military manoeuvres, featuring impressive musket, mortar and cannon fire. Hikers with a penchant for history should continue their adventure with a visit to the Queen’s Battery Barracks. Those fascinated by Newfoundland and Labrador’s striking rock formations should check out Johnson GEO Centre, a geological interpretation centre, filled with family-friendly galleries featuring provincial geology exhibits, oil and gas exploration, natural resources, space exploration, and the Titanic disaster. As darkness starts to fall over St. John’s, walk back to Quidi Vidi and have some beers with the locals! Mallard Cottage is the beating heart of this neighbourhood, and is a firm favourite for drinks and live music. This bar, an Irish-Newfoundland style cottage from the 1900s, is also one of the oldest buildings in North America. So many visitors have passed through Quidi Vidi and wanted to stay in Mallard Cottage all night. Now, the iconic pub offers its own accommodation – The Inn at Mallard Cottage. The Inn offers bright, understated rooms with a quaint yet chic vibe, offering traditional comfort after a long day of exploring. For seasonal cuisine in a rustic setting, check out the ever-changing menus in Mallard Cottage. Wake up and drive to Blackhead, south of St. John’s. Once there, join the East Coast Trail once again and walk in the direction of Kelby Cove. Marvel at the jagged cliffs under your feet, as you traverse the mythical locations of Bull Cove, Deadman’s Bay, Peggy’s Bag and Sleepy Cove. Soon, you’ll find yourself at Freshwater Bay. A stony beach with a stunning sea view, Freshwater Beach is an excellent location for a rest stop or impromptu picnic. As you find yourself on the edge of the expansive Atlantic Ocean, take a panoramic shot or simply contemplate everything that has brought you here. Return to Blackhead and drive back to Quidi Vidi, where you can sample some delicious craft beer. 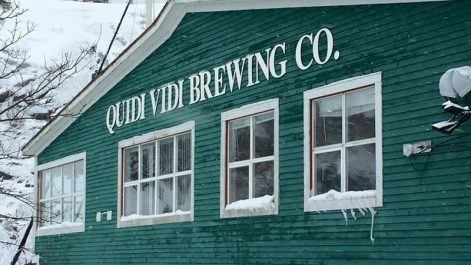 The Quidi Vidi Brewing Company has been recognized as one of the best in its field since opening in 1996, and is best known for its tasty Iceberg Beer. Take a tour with the master brewers as they explain the complexities of their craft, and give away some secrets! For example, the iconic Iceberg Beer is so called because iceberg water is used in the fermentation process. After relaxing in Quidi Vidi, take a short stroll around the Plantation district. This colourful area is home to numerous antique and craft shops, and is perfect for some post-hike window shopping! From Quidi Vidi, walk to Portobello’s, a spacious and modern restaurant in the heart of St. John’s. Perched on the waterfront, this restaurant has earned an enviable reputation for world-class seafood, poultry and steak. After breakfast, jump in your car and drive to the town of Petty Harbour – Maddox Cove, a 25-minute drive from Quidi Vidi. Located on the eastern shore of the Avalon Peninsula, the town has been continuously occupied since at least 1598, making it one of the oldest European settlements in North America. After a bite to eat in Petty Harbour – Maddox Cove, tackle the 10km hike to Cape Spear. As you join the East Coast Trail once again, breathe in the salty air and the wild winds. Cape Spear National Historic Site sits atop a craggy promontory, overlooking a vast ocean view with sparkling icebergs floating below. 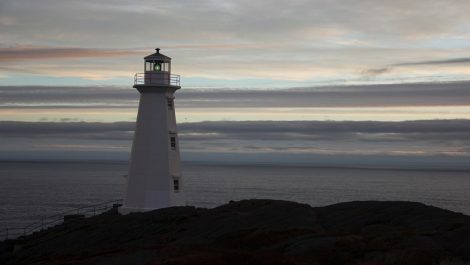 Cape Spear Lighthouse is also the oldest surviving of its kind in Newfoundland and Labrador, and gives great insight into the lives of lighthouse keepers and their families. Wildlife enthusiasts will be in their element, with plentiful opportunities to witness thousands of migrating whales off the coast. The site also hosts the annual Cape Spear Whale Festival every June. For a taste of Victorian sophistication, try a Victorian low tea in the lighthouse! Join ladies and gentlemen in costume and travel back in time, sipping authentic tea blends and trying traditional treats and pastries. Return to Petty Harbour – Maddox Cove and drive back to St. John’s, and rest for a few hours. When you feel suitably rejuvenated, venture into the centre of St. John’s for some live music. Look out for the ‘Music @’ concert series, a year-long selection of jazz, blues, folk, pop and other performances dotted around St. John’s. Serene and secluded, Peaceful Loft certainly lives up to its name! This family-owned vegan restaurant serves up Asian-inspired dishes with a healthy twist. Fly to St John’s International Airport, or travel by boat from Nova Scotia with Marine Atlantic.